You can get free wedding gifts simply by creating a wedding registry and adding certain items or dollar amount of a particular brand of products to your registry. No one has to purchase these items for you. You need to add them to your registry. After you've added the qualifying items to your registry, you'll need to fill out the free gift form and follow the directions to submit it. Be sure to read the small print on the form, so you have everything you need to get your freebie. Wedding registries have further benefits, discounts, and freebies. There are free "after completion" gifts which mean that certain items on your registry must be purchased before you can get those gifts. When you look at the various registries, you will often see similar offers from the same vendors and brands. Often registries have additional benefits such as a percent off of remaining items after your wedding date, or even a discount throughout their store for months after the wedding. Some have free gift wrapping and even free shipping, so your guests get benefits. Here are a few freebies you can get simply for signing up for a wedding registry. Sur La Table has free wedding registry gifts that you can get just for registering for select items. For example, you can get a free cookbook, cut-resistant glove, gift card or apron, even without a purchase. The Container Store will give you a free Portable File Tote simply for signing up for their wedding registry. They also have free shipping and gift wrapping for gifts over a certain dollar amount. Register for the Things Remembered bridal newsletter and you'll get a free personalized keepsake heart. Freebies are sometimes available from partner brands when you place their items on your registry, such as recipe cards when you register for Cuisinart items. After your wedding, you receive a completion gift when you visit the store, such as a cookbook. Your guests will also get a freebie when they buy off your registry, free gift wrapping. Under their Incentive Programs link, you can see a variety of completion offers for free items when your guests have bought a certain dollar amount of items or completed a set. These include Dillard's china and stemware. You also get a percentage off remaining items in your registry after your wedding. Open a Crate & Barrel wedding registry, and you'll get a free gift such as a set of stemless wine glasses in an embroidered linen bag. After you've registered for the products, you can fill out the form and mail it to receive your free wedding registry gift. Register with select vendors and get bonus gifts when a set is complete or a dollar amount is reached — for example, a free griddle when your guests have bought $500 of Caphalon cookware. Offers change, so browse to see the current ones. Percentage off a tux rental. Other perks of the Crate & Barrel wedding registry includes free save the date announcements and 10% off unlimited purchases for 6 months after your wedding. 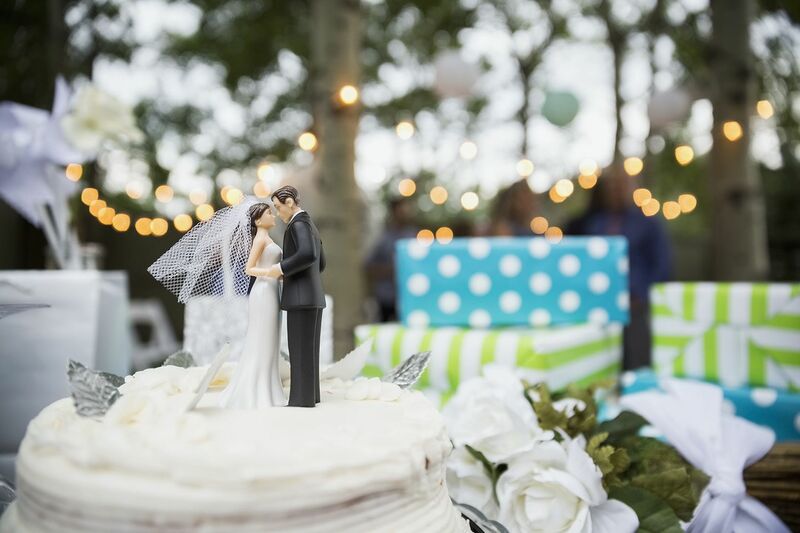 From the comfort of your own home, you can create a wedding registry with Amazon and get bonus gifts when purchases are completed with select vendors. For example, completing a selection of cookware, you get a bonus pan. Williams-Sonoma also has links to earning bonus gifts from select vendors when your guests purchase more than a certain dollar amount or complete a set. From some vendors, you get a small gift just for placing them on your registry. Bloomingdale's has a tempting offer of getting a $100 splurge card when you spend $500 or more on your registry, plus 10 percent off for six months when you purchase the remaining items on your registry. They also have free with purchase offers from several brands, as well as occasional freebies with registering with a brand. There is nothing to stop you from registering at several different stores to get the best benefits of each. You'll have to figure out how to communicate it to your guests. Be sure to provide guests links to your registry, so their gifts count towards completion incentives.